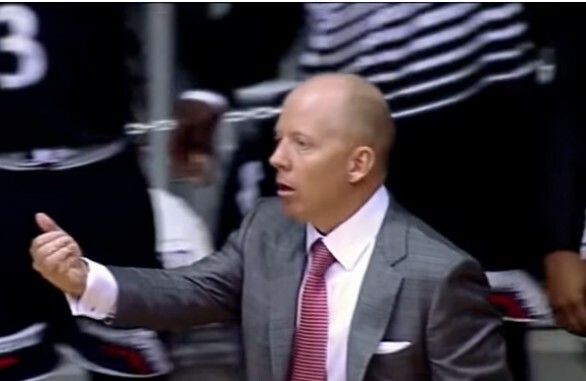 Former Murray State head coach and current Cincinnati head coach Mick Cronin appears to be one of two finalists for the UCLA job. The other finalist appears to be Texas Christian's Jamie Dixon. Los Angeles Times sportswriter Ben Bolch says, "Dixon and Cronin emerged as leading candidates after a bevy of more coveted coaches expressed no interest, were eliminated through the school’s vetting process or declined to be interviewed until after the Final Four." Dixon has been trying to get TCU to lower the buyout specified in his contract because UCLA balked at paying the full amount. Dixon is scheduled to meet with his players later today. Cronin was the head coach at Murray State from 2003-2006, winning 69 games and taking the Racers to the NCAA tournament twice. In 13 years at Cincinnati he has made nine NCAA tournament appearances and won 296 games.